She let me be so close to her!!!! One rainy afternoon at home we started hearing the classic meow behind the entrance door. It was a continuous one, we open the door and there it was. A magnificent yellow cat that we have seen before. We knew it was from our neighbor so we gave him milk and went to returned it. There was no more neighbor, she had moved and nobody knew her, in fact she disappeared. We are a dog family so; a cat was not in the plan. The cat just wanted food, water and be browsing the streets as all cats want. We let it be. Later during the week, my sister became my neighbor, and she basically adopted the cat in a very cute nice way, the cat had a special house in the patio, toys, a collar, and a vet. After a while my sister needed to travel so much that the cat went to my parents and stayed there for the next 25 years having a wonderful life in a garden surrounded by lots of pray to play with like lizards and bugs. We all loved that cat always beautiful and sweet, independent and tender. This cat could talk with its eyes!!! We felt loved just seeing at its face!!! There are more stories about cats, like the one when our other neighbor in another place just poisoned three baby cats, very tiny white kittens that were left outside and were meowing. Before, we thought she was going to rescue them because promptly, ahead of us, she gave them milk… then they were quiet and relaxed. They did not move at all. We were looking through the window. She took all of them. We cried. 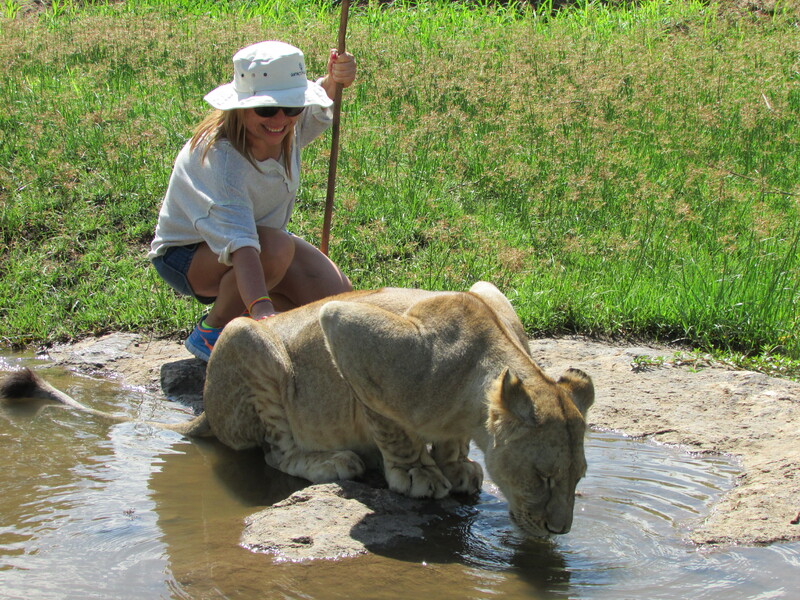 The most recent experiences about these beauties are about the big cats. 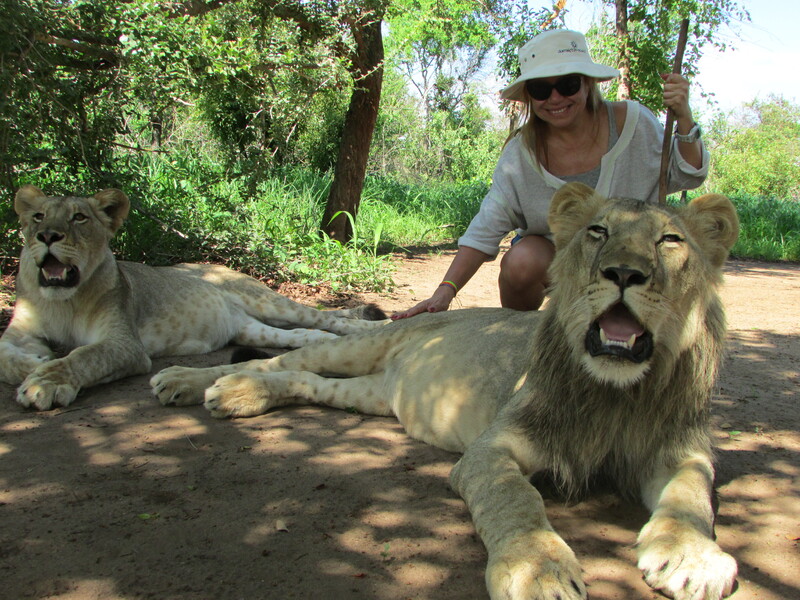 We went to see the young lions. They are in a special program in the South of Africa. We walked with them, we took pics with them. It was a special tour in a preserve. We couldn’t use bright colors; they gave us specific instructions before, during, and after the visit. Like, how to approached them and when. We were armed with large sticks, and we had three persons protecting us at all times. We got pictures, a video, and the wonderful experience to be so close to them and to contribute with their preservation. 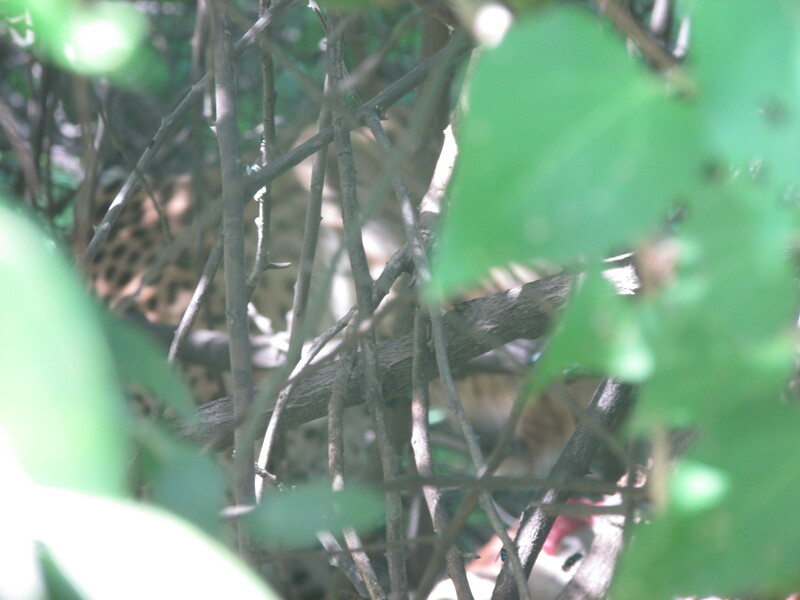 We saw a leopard eating an impala!!!! That is very rare, occurs once a month at a National Park in the South of Africa. We were in jeeps just taking pictures of the giraffes, elephants, birds, impalas… we saw in the sky some birds flying in circles. I told to our guide that looked that some animal was dying. He saw the birds and kept our jeep going but turning in that direction. After a while he stopped; he told us to be very quiet because inside the bushes there was something going on. 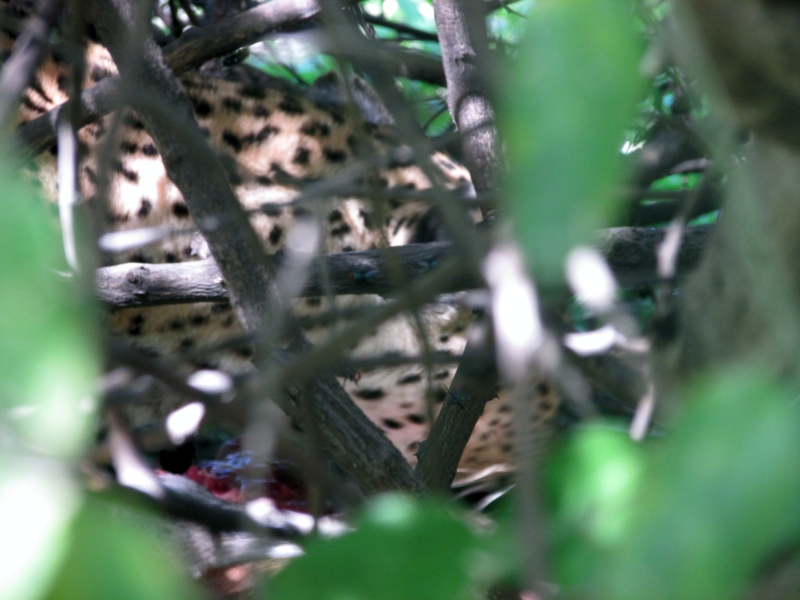 He moved the jeep super close to the bushes and inside there was this incredibly beautiful leopard devouring chunks of meat yanked from the impala, our eater was covered in blood like a little kid just finishing an ice cream. All the cameras in the jeep were flashing in frenzy. There was a big camera with a super big lens the size of football photographers. Everybody trying to get the best shut. And we were the lucky ones!!! 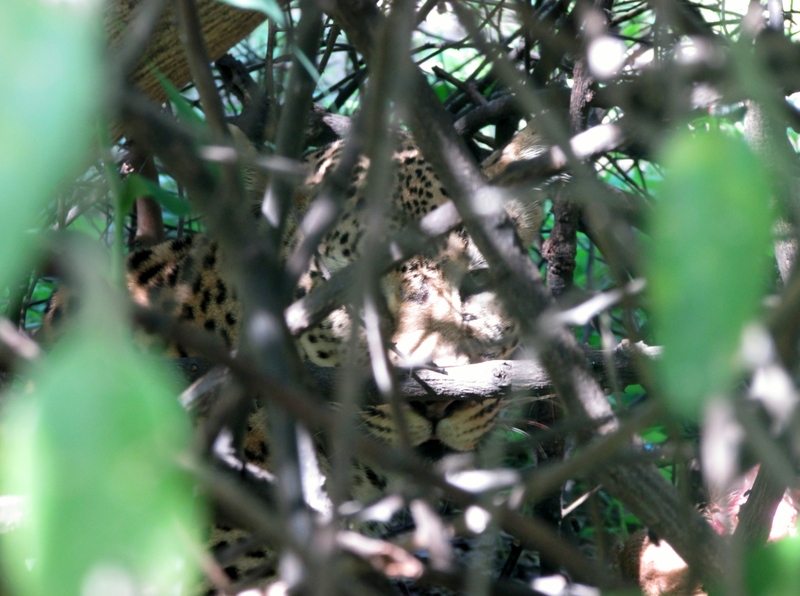 The pic is incredible beautiful; just us did more than fifty shuts in a couple of minutes because we could not stay for a long time and because the leopard was hidden and we didn’t want to disturb him. The trophy was ours!!! Everybody in the jeep was talking about it!!! I love cats!!! Big cats! Small cats!!! 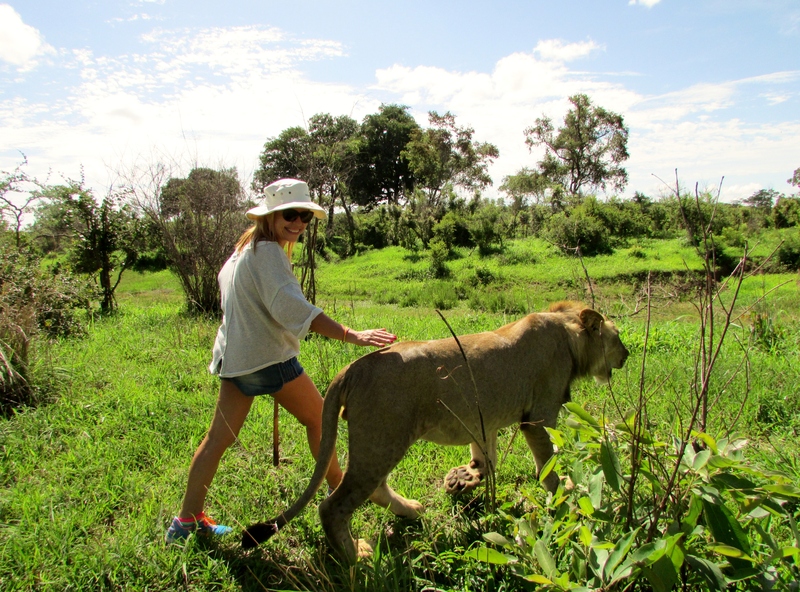 Panthers, lions, leopards, cheetahs, tigers… they bounce, they jump, they run, and they are so beautiful!!!! I think I was not clear. I was in front of the cat in an open jeep, I am not a photographer and it was serendipity to catch the cat eating. We were just some feet away of the cat in the wilderness, and that is the way they eat,(inside a bush, to protect the food). That was a very dangerous situation and all the cameras even the professional ones were in a frenzy shutting while we were there (just minutes). Our shot was the best and once in a lifetime experience; I am a city person who happens to have wonderful vacations. Your comment is telling me that you have your ideas about photographs. 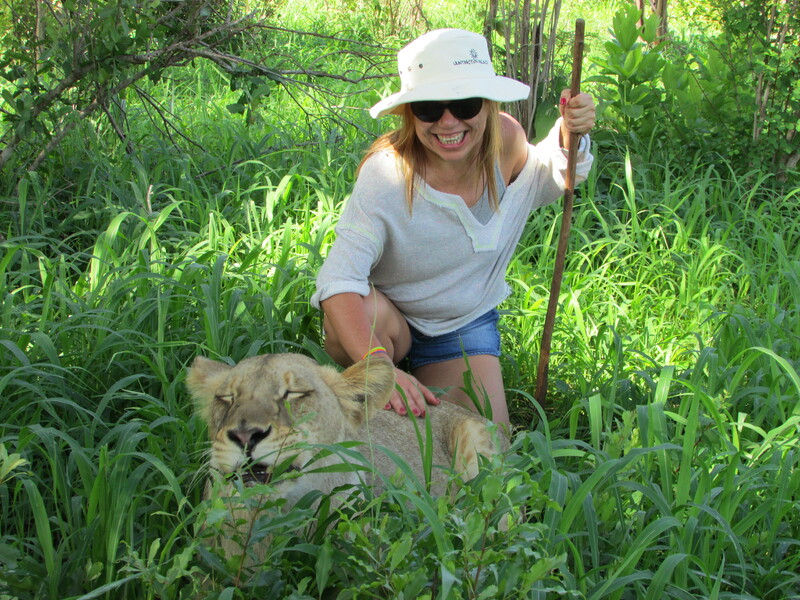 The guides were amazing local professionals that adore their animals, and were born there and told us that we were indeed absolutely lucky because what we saw was super rare. I am so sorry for you, you can say whatever you like. It was my experience, and I lived it.